FRESNO, Calif. (KFSN) -- California has seen catastrophic wildfires and Fresno County wants to be as prepared as possible for any emergency. On Thursday several different county departments came together for an emergency response exercise. "If we do it right when we train, we are going to do it right when the real thing happens," said Fresno County Sheriff Margaret Mims. Ken Austin with the Office of Emergency Services said the exercise went over a mock fire in the Shaver Lake area. 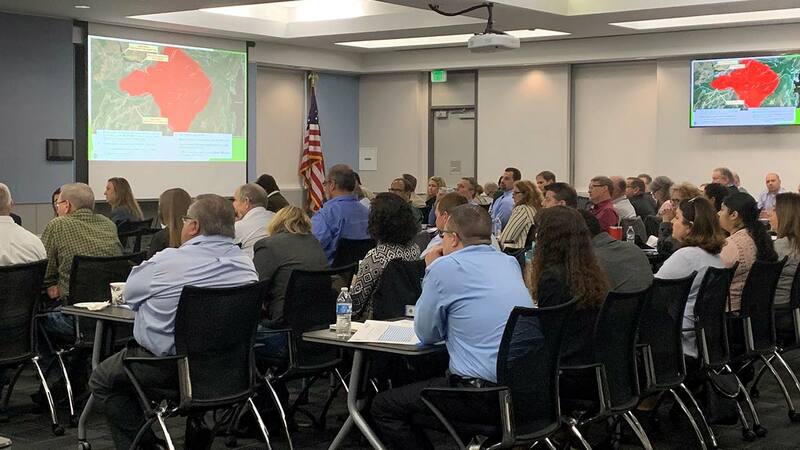 "It's growing in size and the complexity and the need to respond more; that's how we are bringing in more of the county departments to play a role and talk about how they would respond and also identify what our gaps and weaknesses are so we can work on those," he said. Again, this is not a real fire, just a pretend scenario. Sheriff Margaret Mims says the deadly Camp Fire in Butte County really got her thinking, "Is Fresno County ready?" "As a county how do we respond? Do we really know what resources all of us bring to the table and what we are finding out is that as we discuss this particular scenario is that we have departments that have resources and have the ability to help out that we didn't think of before," the sheriff explained. As the discussion went on they realized there's always room for improvement when it comes to communication. "What we are finding out is that there are some gaps in just communications that we can help fill, for instance, how do we work with social services and identifying the vulnerable populations out there? Who may not have the ability to monitor social media or the regular media on evacuations," Sheriff Mims added. Sheriff Mims mentioned this was the first meeting of its kind. She hopes it will not be the last. The sheriff wants to continue to refine their plans for emergencies and wants to include state departments as well.